Gutters are an important part of your home. They drain your roof when it rains, effectively directing rainwater to areas where it won’t cause any problems to your home. Taking care of them and preventing them from getting clogged ensures long-lasting protection for your home. 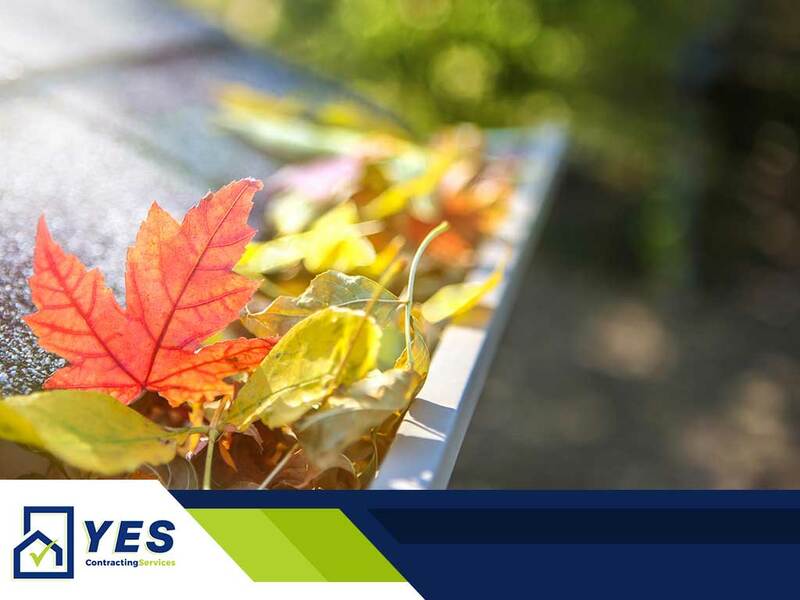 When leaves, debris and other kinds of dirt clog your gutters, however, they tend to cause more problems to your home. Your roofing contractor, Y.E.S. Contracting Services, looks at a few ways clogged gutters damage your home. Clogged gutters lead to pooling water. The more water pools on your roof, the heavier it becomes. If left unchecked, this water will soon start to seep into your roof, leaking into your home. Leaking water will also damage your roof deck, compromising your roof’s integrity. The longer the leaking problem stays, the more water damage your roof and ceiling will sustain. Your roofing construction company advises clearing your gutters to make sure rainwater will always drain smoothly and avoid pooling. As mentioned, clogged gutters can lead to water damage inside your home. This can lead to even more damage than you want to deal with. For starters, water can damage your ceiling, interior walls and other indoor fixtures. Next, the moisture present inside your ceiling can become a breeding ground for mold, which is hazardous to your health. Wood is highly susceptible to water damage. Water can cause the fascia boards holding the gutter to rot. Eventually the boards break apart and fall to the weight of the water pooled in the gutter. At times, the gutter will even take the soffits with it as it falls. Clogged gutters can also cause water to spill around your home’s foundation. This is dangerous. A damaged foundation leads to compromised structural integrity, which in turn leads to a possible collapse. In addition to these, any general contracting services provider knows that a clogged gutter can also result in damaged landscapes and a wet basement. Clogged gutters can also serve as breeding grounds for insects such as mosquitoes. Make sure your gutters stay clog-free! If you’re looking for ways to protect your home, Y.E.S. Contracting Services is here to assist you. We offer our services to homeowners in Johnson City, TN, and nearby areas. Give us a call at (423) 702-4000 or fill out our contact form and we’ll schedule a meeting with you for a free no-obligation quote.